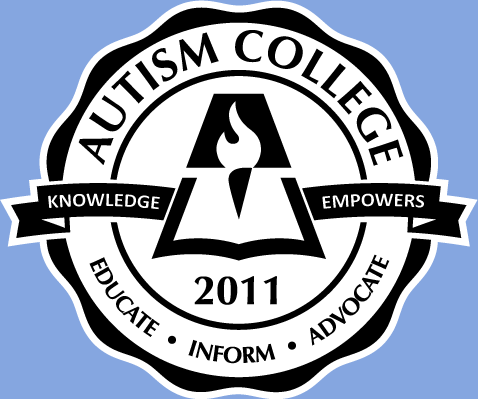 Autism College in partnership with the National Autism Association (NAA) is presenting a free on-line conference on Autism Safety and Crisis Prevention. Topics to be addressed are sexual abuse risk reduction, bullying prevention, suicide risk, wandering, and preventing the use of restraints and seclusion. Saturday, February 11, 8:15am- 9:45am PST, Dr. Nora Baladerian, Ph.D. will present “How Can Parents Reduce the Risk of Sexual Abuse of Their Child or Young Adult?”. Saturday, February 11, 10:00am-11:30am PST, Dr. Lori Ernsperger will discuss “The 3 R’s to Bullying Prevention for Students with Autism Spectrum Disorders: Recognize, Respond, and Report”. Wednesday, February 15, 6:00pm-7:30pm PST, Dr. Joshua Feder will discuss “The Problem of Depression and Suicidal Ideation in Autism and Related Disorders”. Saturday, February 18, 8:15am-9:45am PST, Wendy Fournier of the NAA will discuss Wandering . Saturday, February 18, 10:00am- 11:30,am PST, Pat Amos, M.A. will discuss Preventing and Eliminating the Use of Restraints and Seclusion. For those unable to attend live, there will be transcripts available for purchase. Register here.